Junadele "Judy" Thomas passed away peacefully at her home on September 10, 2018. She was 85 years old. Judy was born on January 22, 1933 and was the daughter of Weldon and Annajo (Barton) Smith. She lived in Shelby her entire life and was a graduate of the Shelby Senior High School Class of 1952. Judy was a lifeguard and swimming instructor for several years at the Seltzer Pool. She attended the Ohio State University and while home working on a summer break at AMF, met her future husband, Peyton (Sid) Thomas. They were married on May 28, 1955 and celebrated 62 years together in May of 2017. She worked alongside Sid at Shelby Printing Inc. in the bindery for many years. Judy was an avid golfer, bowler and Shelby Whippet fan! She loved walking and riding her bike often 3 to 5 miles a day when she was able. She really enjoyed the luncheons that were held several times a year with her high school classmates and so appreciated being included. Her greatest joy was spending time with her family, especially her grandchildren and the newest member to the family, great granddaughter Junadele (Juna). 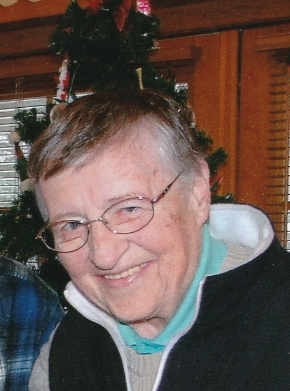 She was a longtime member of the Shelby Country Club and attended the First United Methodist Church. She and Sid played in a Euchre Club with several close friends for over 50 years. She is survived by daughter Joann T. (James) Hipsher of Shelby and son Barton L. Thomas and Lisa of Mansfield; two sisters-in-law, Mary Ellen Henry of Shelby and Nancy Smith of Salt Lake City, Utah and their extended families; granddaughter Adrianne M. Hipsher, (Jason and Finn) of Denver, Colorado; grandson Kyle T. (Caitlin) Hipsher and great granddaughter Junadele, all of San Antonio, Texas. In addition to her husband Sid, she was preceded in death by her parents, brother Barton Smith of Salt Lake City, Utah and brother-in-law Dan Henry of Plymouth, OH. Per Judy's request, there will be no calling hours and a private burial will be held at a later date. Memorial expressions may be made to the Shelby Lady Whippet Athletic Boosters and sent directly to the Athletic Director at Shelby Senior High School, 1 Whippet Way, Shelby, Ohio 44875. Barkdull Funeral Home and Crematory in Shelby is assisting the family with arrangements.